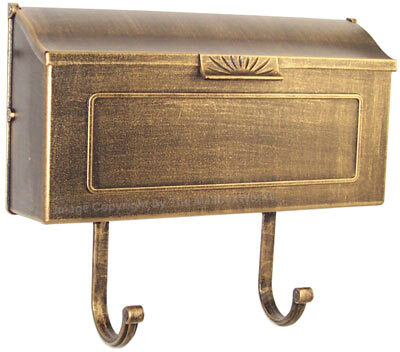 Classic Locking Mailbox with Fresno Post offers elegant estate styling with industrial strength durability. 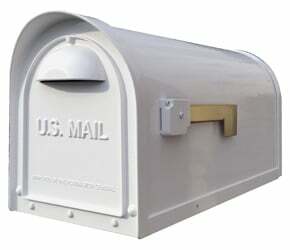 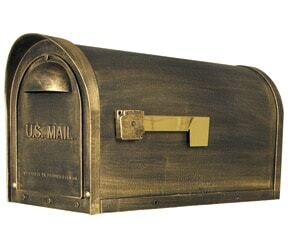 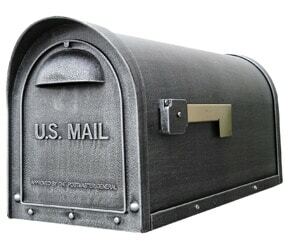 Locking mailbox and post are made from rust-proof cast aluminum and powder coated to resists chips, scrapes and fading. 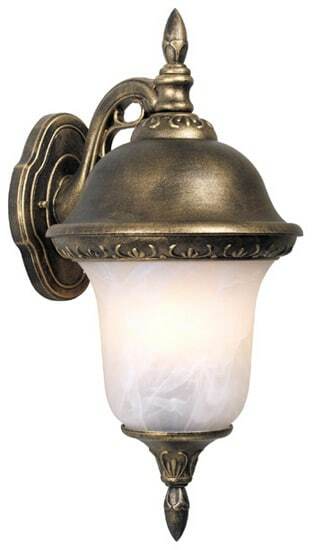 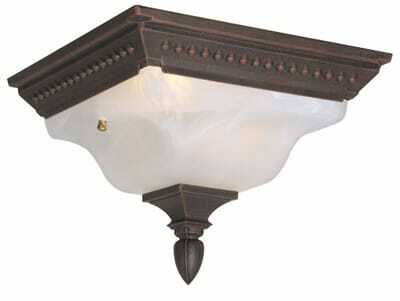 Comes in 12 decorative colors and finishes. 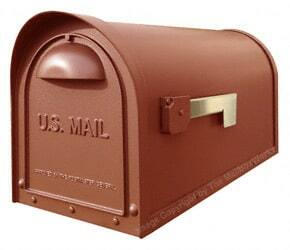 Fresno Post has a sculpted base design for curb side appeal and consists of 2 pieces which wrap around the base and screw firmly into place. 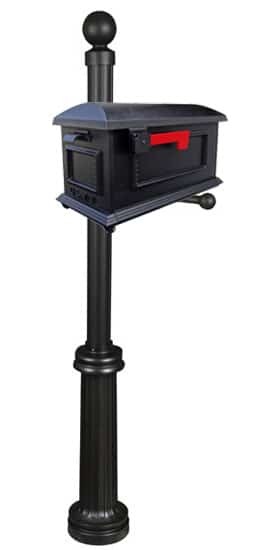 Post base goes 18″ underground so you’ll never have to wonder if your locking mailbox and post are secure. 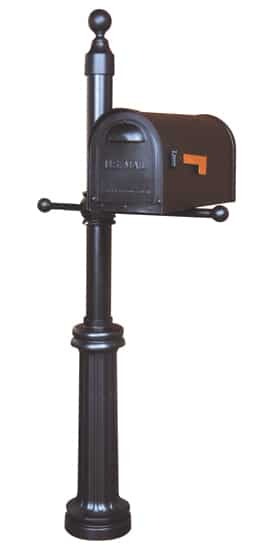 Locking mailbox post arms are adjustable to suit your landscaping needs. 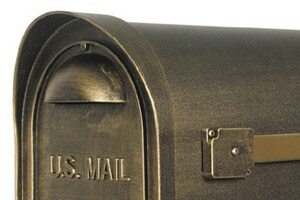 Classic cup handle opens the hinged mailbox access door, which includes a magnetic catch to hold door closed. 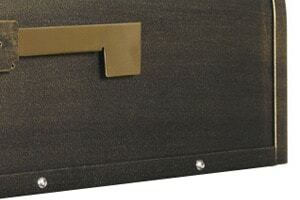 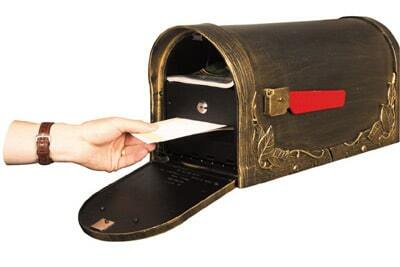 Locking mailbox insert has an angled extension to further protect mail from intruders. 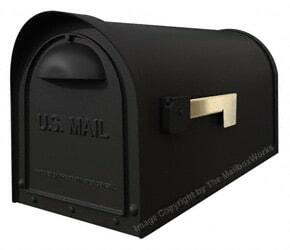 Classic locking mailbox comes complete with matching Fresno Post, locking mailbox insert with 2 keys and all necessary assembly hardware. Our wide selection of residential locking mailboxes includes many other post styles and wall mount designs. See all our Mailboxes.